The scientific methods and techniques of Pranic Healing have been revealed with the publication of the book “The Ancient Science and Art of Pranic Healing” in 1987 by Master Choa Kok Sui, the world’s foremost authority on Pranic Healing. A Filipino of Chinese descent, Master Choa Kok Sui has travelled the world extensively conducting lectures and workshops on Pranic Healing, Arhatic Yoga and other esoteric subjects. He has authored other books that have revealed more ancient secrets to the public. His relentless search for spiritual truths beyond accepted realities, balanced with a degree in Chemical Engineering has led thousands to experience the benefits of Pranic Healing. He has authored more than fifteen books that are read in more than 90 countries, some of which have been published in 27 languages. His works are distillation of over 20 years of study and experimentation. 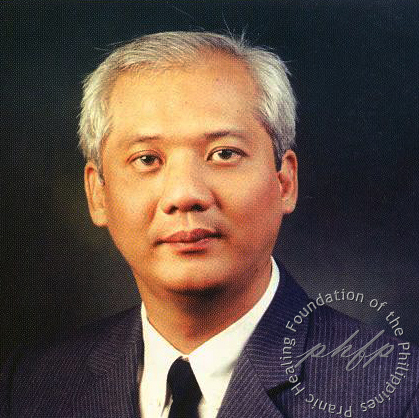 He is also the founder of numerous works of mercy foundations all over the world.